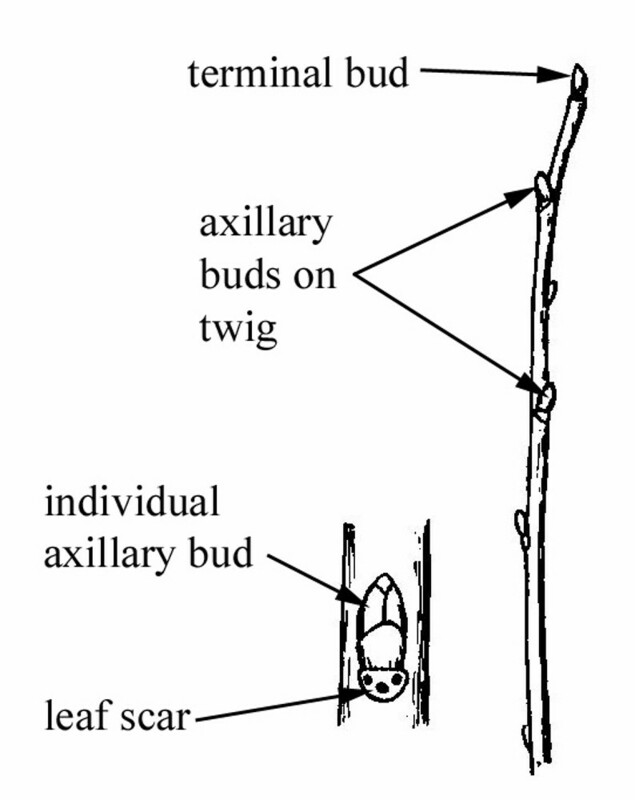 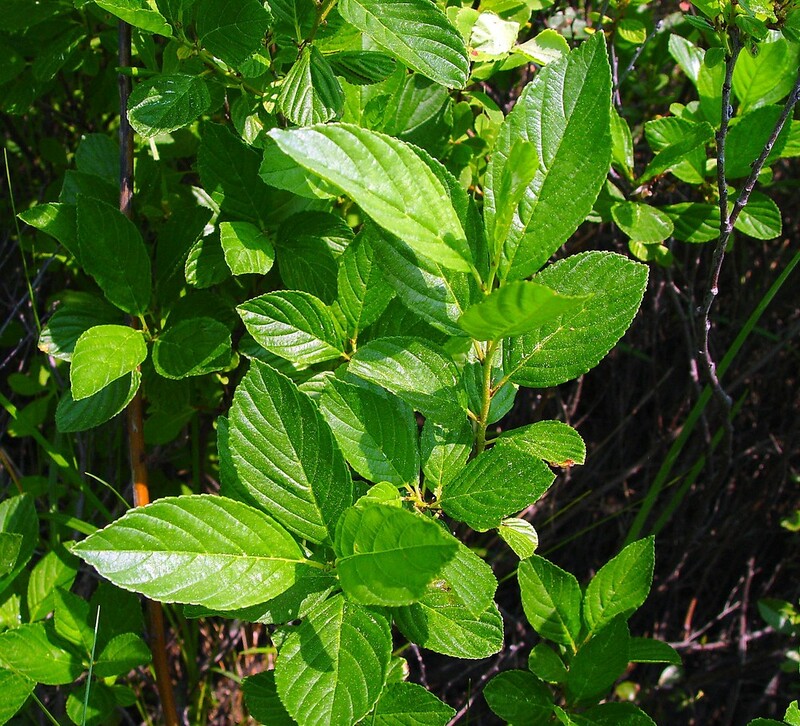 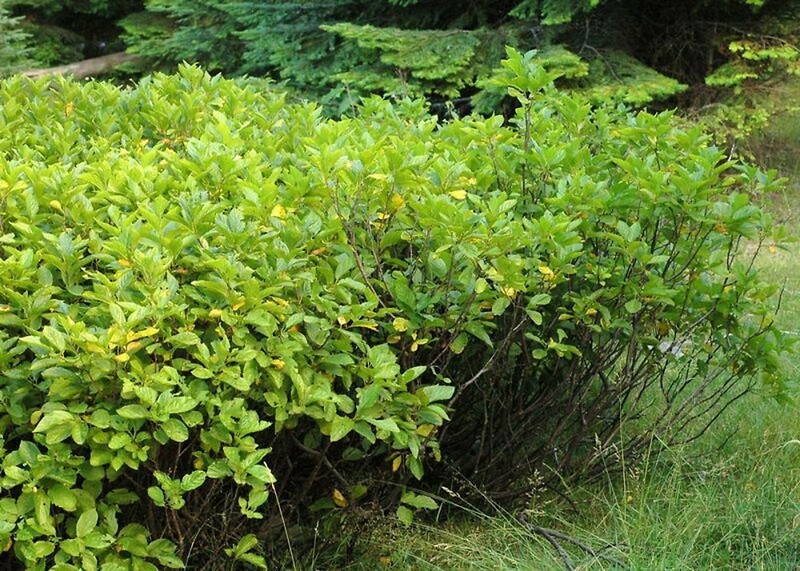 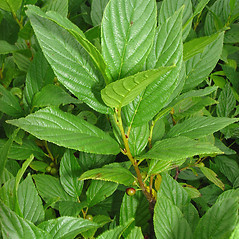 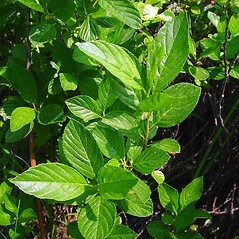 Alder-leaved buckthorn is a native shrub that tends to grow in calcareous wetlands (fens) in western and northern New England. 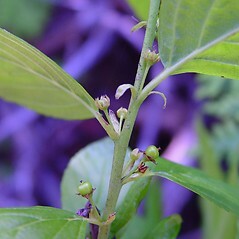 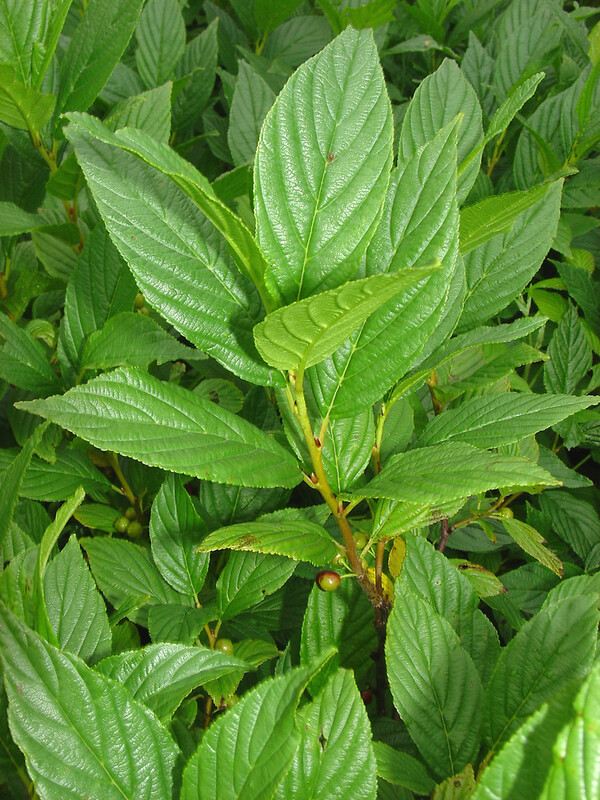 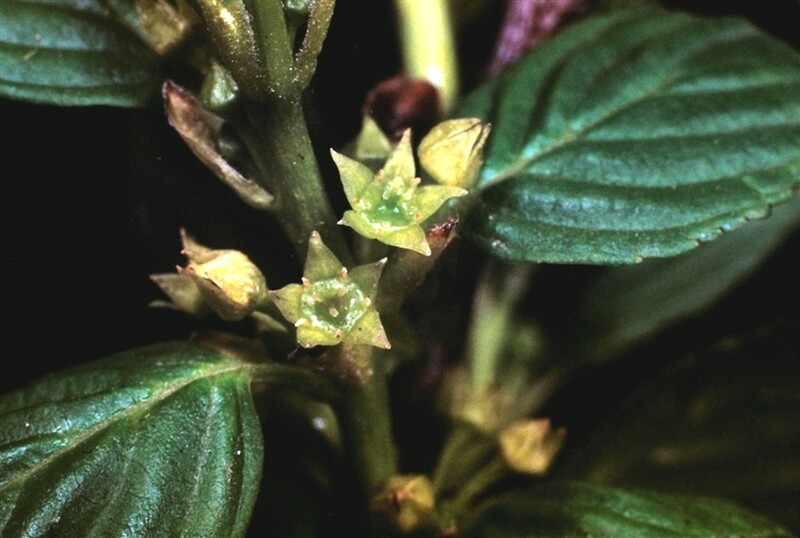 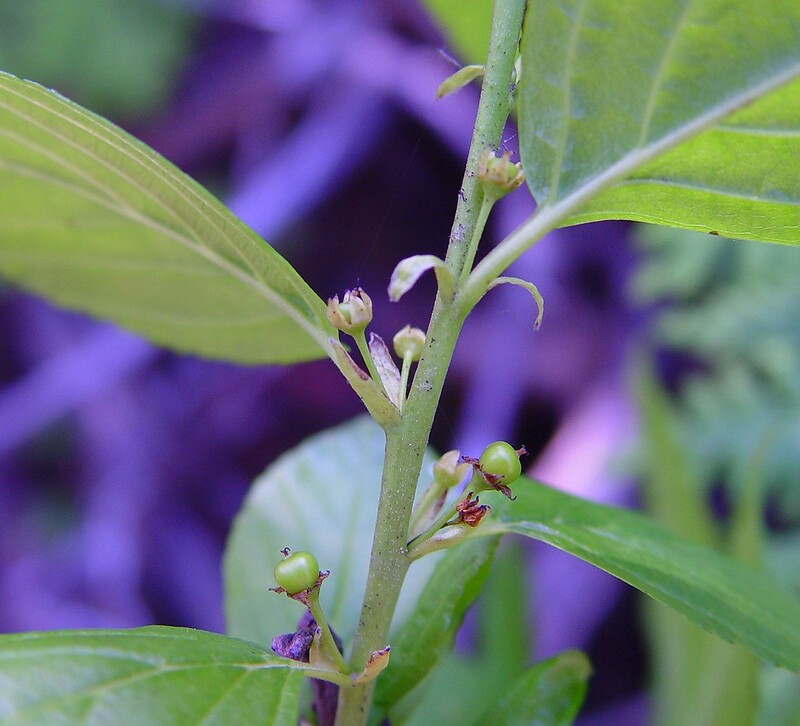 It differs from all other members of the genus Rhamnus in our area by having flowers with five sepals, no petals, and five stamens (the other species have four of each). 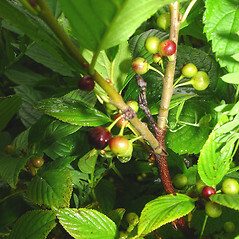 The flowers attract butterflies and the bright red fruits attract birds. 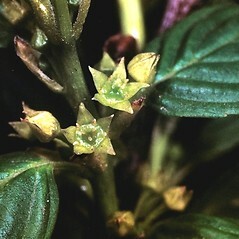 flowers with 4 sepals, petals, and stamens, leaves alternate, subopposite, or opposite, and plants often armed with a spine-like process near the apex of some branchlets or in the forks of some branches (vs. R. alnifolia, with flowers with 5 sepals, 0 petals, and 5 stamens, leaves alternate, and branches unarmed). 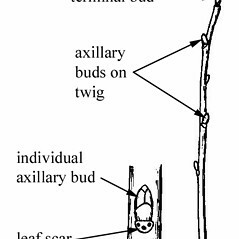 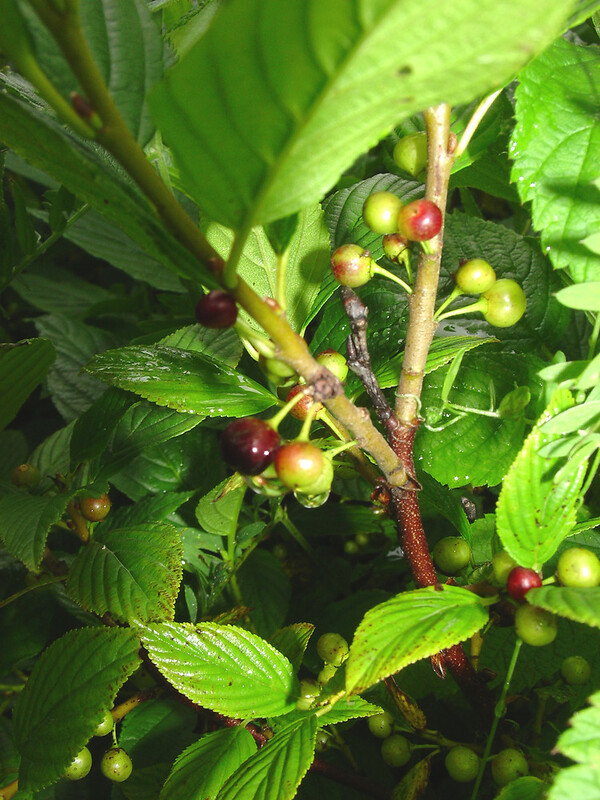 alder-leaved buckthorn. 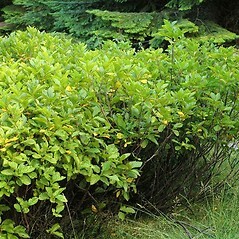 CT, MA, ME, NH, VT. Swamps, fens, often associated with Thuja.